Here’s a low carb dry rub that is the perfect blend of flavors for oven baked pork ribs! So… I don’t often cook ribs. Mainly because we have a great delivery place near us that does pizza for the rest of my family, and ribs for me. 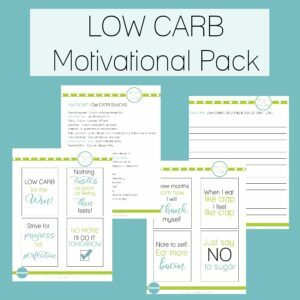 I order them dry, and then add some of my low carb smoky barbecue sauce (or Guy’s Barbecue Sauce if I’m feeling super lazy!). 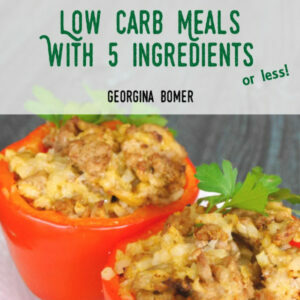 But they aren’t cheap – so the next time I saw them in the grocery store, I decided to cook my own. Rather than load up the ribs with sauce, this time I wanted to create a dry rub for them instead. And there’s a whole lot of flavor going on here! 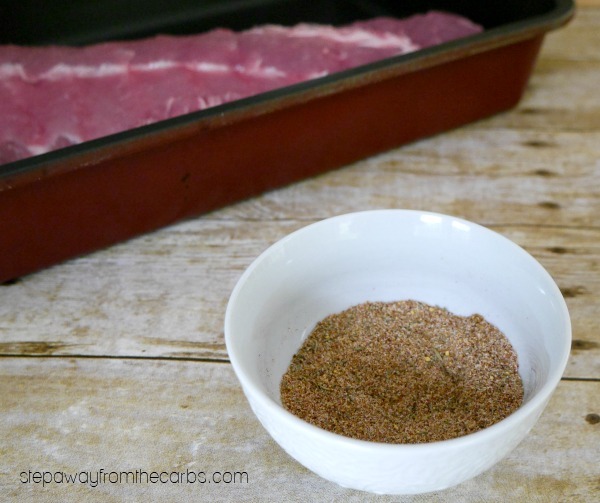 To make the rub, mix together smoked paprika, onion powder, low carb sweetener (Swerve, xylitol, or similar), dried thyme, ground cumin, dry mustard, and salt and pepper. 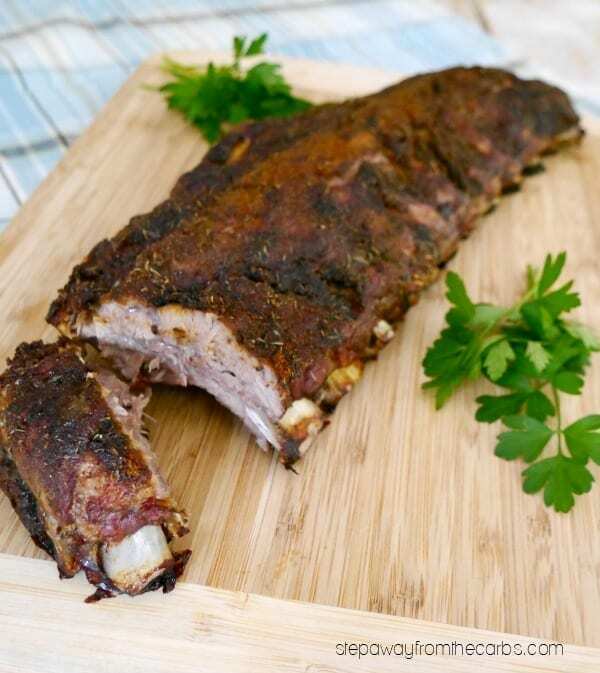 Pat a rack of baby back ribs dry with kitchen paper, and remove the membrane from the back. Place the rack in a large baking pan. 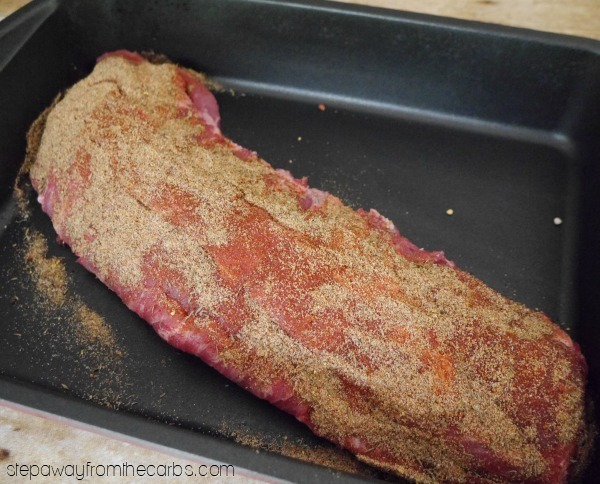 Place the ribs in a preheated oven for 3 hours. 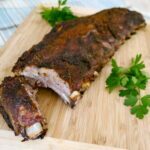 Serving size depends on how much appetite for ribs you have! Half a rack of meaty ribs is a pretty big serving, especially if you add some delicious horesradish coleslaw to go with it! 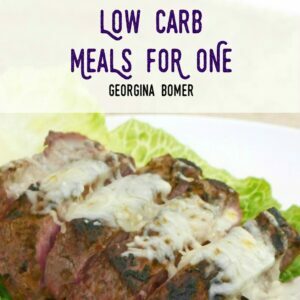 You won’t feel hungry after that! 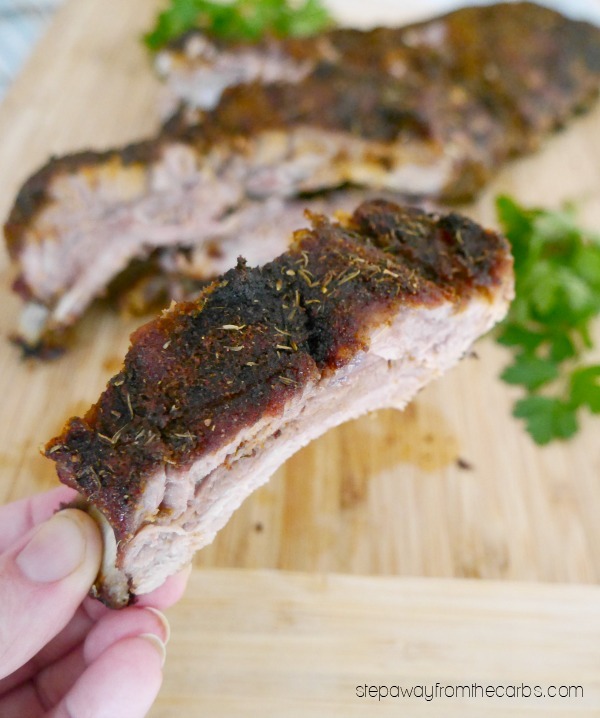 A delicious dry rub that is perfect for seasoning pork ribs! Pat the baby back ribs dry with kitchen paper, and remove the membrane from the back. Place the rack in a large baking pan. Place the ribs in the preheated oven for 3 hours.